Do you need to insulate your home? Hiring a professional company can be a bit overwhelming—after all, you’re trusting strangers to come into your home and do work. You want to find a reputable company, but there are so many to choose from. How do you narrow down your choices? You have to do your research. Those bulky Yellow Pages books are ancient by now—looking online is the fastest and easiest way to find companies. Be sure to check out professional insulation industry websites like Insulation Contractors Association of America (ICAA), Cellulose Insulation Manufacturers Association (CIMA), etc. You can even ask your utility companies for their picks of the top insulation companies in your area. Once you do find a couple different companies, do more research (including looking for reviews and complaints filed against them on websites like Angie’s List, the Better Business Bureau, etc.). You also need to ask the company questions—“interview” them. 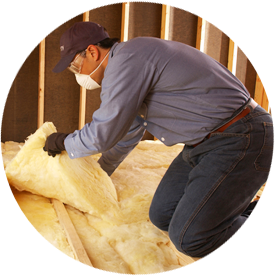 Ideally, you should get three bids on the insulation work for your home. Do you have a license (if necessary) to operate in the state? Do you have insurance to cover any accidents while working on the project? Don’t hesitate to ask questions. A good insulation company will be happy to answer any questions you have! Why did you select this contractor? Was the contractor on schedule? Did they give you a written estimate before starting work? Was the project completed on budget? Did they maintain a clean work space and clean up well afterwards? Do you need to insulate your home in the Norfolk, Virginia area? Contact Tidewater Insulators to learn more about our services!